Books: This week we used books from Bob Books, Set 1: Beginning Readers (the Lil Divas read these nightly), First Little Readers: Guided Reading Level A , and Sight Word Readers Parent Pack: Learning the First 50 Sight Words Is a Snap! This week's Slap It! was given a fun lil twist by adding some fly swatters (from the $1 Spot at Target). 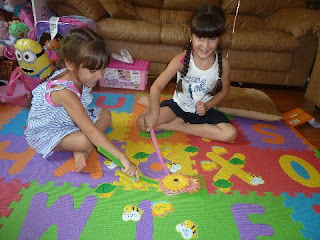 Oh, the fun the Lil Divas had swatting those pesky sight word bugs! 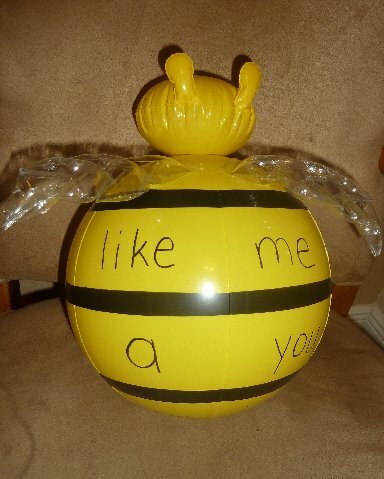 :) I used all 16 words we have been working on over the past few weeks. It was a wonderful interactive review - be prepared for giggles! 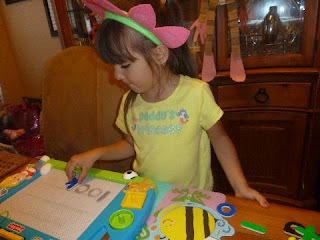 Forming Sight Words - I wrote the weeks words on large bee cutouts and provided the Lil Divas with our Melissa & Doug Magnetic Wooden Alphabet letters. 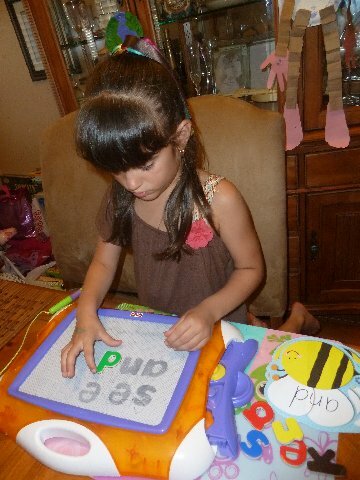 They got busy reading the words and using the letters to re-write the words. 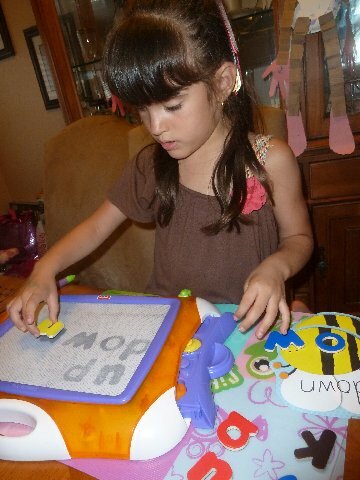 Then, they practiced writing the words on their magnetic doodle board using the Melissa & Doug Magnetic Wooden Alphabet letters to write the words on the boards. 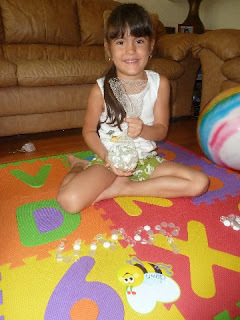 They found this activity fun and really enjoyed it. There was a sight word I wanted to spell and AND was my sight word. 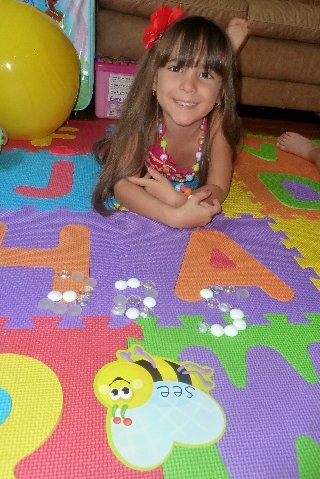 & and was my sight word! We follow the above tune/format for each of our sight words! 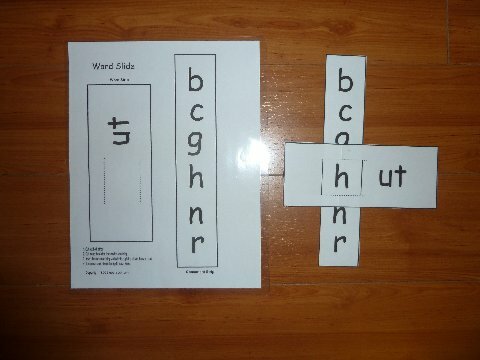 We continue to use Sight Word Printables from MissChapple.com. They include writing the word, recognizing and finidng the words in a chart/table as well as within sentences. The girls have really gotten the hang of these - even the Littlest Diva. We used our marbles (from our "reward" jars) to write the sight words. The Oldest Diva did great & really liked this. The Littlest Diva needed my help forming the letters from the marbles but she did it too. 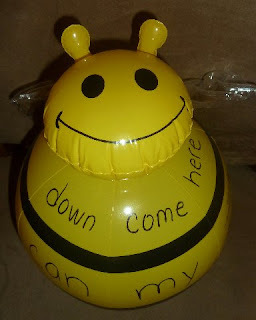 We also played a fun Catch the Sight Word Game w/a bee balloon I founf at Target for $1.00. I wrote all our sight words and they Lil Divas threw the bee to each other and whichever word their hands landed on - they had to read aloud. Fun! I though it would be a good idea to review the 2 word families we had done because the Oldest Diva seems to confuse at with ut & it at first glance. I have to force her to look at certain words again and then she realizes her mistake and corrects it. and I had the Lil Divas play a little review game where they had to put the bugs (with at and ut words written on them) on the correct flower. What did you do to practice sight words and/or phonics this week? 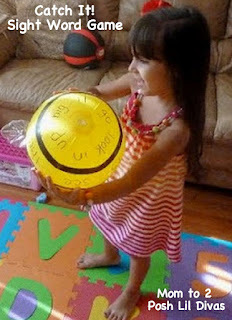 What cute activities for sight words! 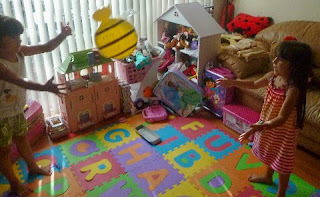 Love the fly swatters to slap the words and the bumble bee blow up toy with the sight words on it. Little Bro will have to try the magnetic board activity, as we have those and he likes to use his. Happy Monday! Just love your blog! love the sight word song. my daughter hasn't seemed interested in learning sight words so going to try this. I LOVE the idea of the fly swatters! 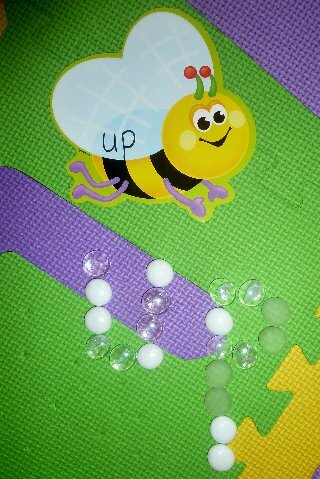 My very active preschool sidekick will love trying that out to practice his letters. 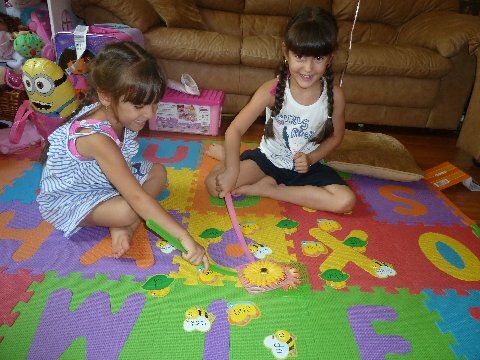 I bet school is a lot of fun at your house! 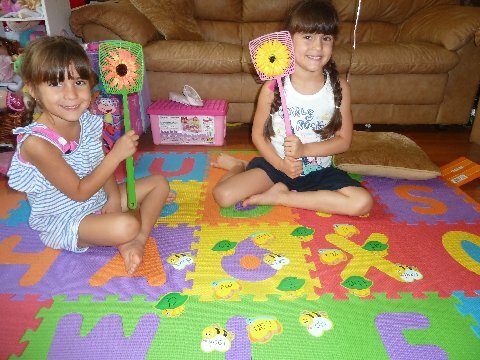 How did you do the fly swatters.. are their magnets on them? The fly swatters were dollar store finds. We use them to swat the word I call out. 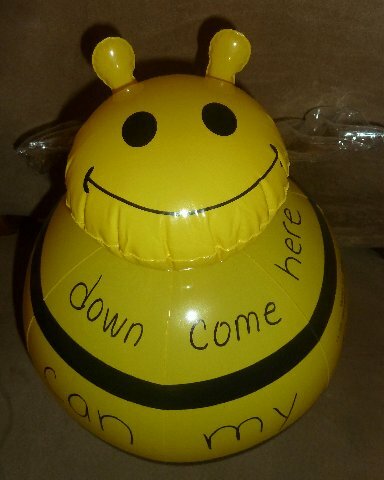 I write words on insect cut outs and they have to "swat" the correct word/insect. Hope that's what you meant - if not feel free to ask more questions. 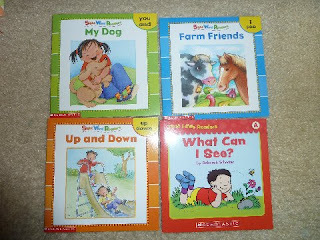 We are just starting to use sight words for my 6 year old these activities might just be the ticket for him. He gets bored easily. Thanks for the pinning.